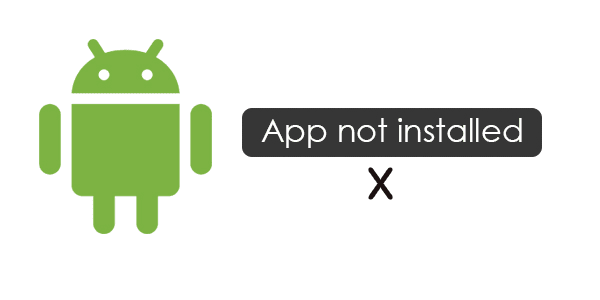 If you use an android device, chances are you’ve come across the App Not Installed error on your phone when you tried to install an application. This error could come at a wrong time and no matter the amount of time you try to install the application it still shows the same error. Frustrating? – Yeah, right! We shall be looking at how to fix app not installed without root on android devices. ✔Corrupt apk file – Sometimes we download apk files from third party websites without using the official Playstore, trying to install this will bring out the error. ✔Low Storage Space – Your device storage space is filled up. Hence, you cannot install new applications. ✔Invalid App Signature – Every applications has a designated signed certificate, installing the same app with a different signature will result in an error. ✔App compatibility with Android Version – There are some applications on the internet which are only meant to work on some Android versions. Installing these applications on newer android versions will show error. ✔Applications Permissions – The android OS allows different app to have its own permissions, tampering will this might cause some apps not to install. ✔Corrupt Storage – If your phone or SD card storage is corrupted, you will not be able to install applications on it. Install applications from Playstore only if possible. Installing apks from other websites is risky. Restart phone when this error occurs. Remove the battery, SIM, SD card – insert again and reboot device. If SD card is corrupt, format or replace SD card. Reset app permissions. Navigate to Settings – Apps and reset app preferences. If you’ve changed the default app installation locations, change back to automatic and let system decide in case there is no storage space. If storage is full, free up spaces by uninstalling irrelevant apps and deleting junk files. Go to settings and allow installation of applications from unknown sources. If all fails you will need to do a hard reset and restore factory settings, before doing this make sure to back-up all files somewhere else.